DJ, remixer, EDM producer and record label owner. - 80’s, Torino. Paolo starts his dj career. - 90’s, a part from his dj career, he starts working as a music producer. - 1999, he publish his first music production. - 2000, he cooperate with V2 Records, Media Records and Time Records. - 2004, he moves to Brescia in his new recording studio. - 2005, Paolo remixes “Un monde parfait” by Ilona Mitrecey for Scorpio and Melodica Records.The single sold over 1,500,000 copies and remains in first place in the French charts for twenty-eight weeks. - 2006, joined the staff of Melodica Records. He works at the remix of “Stop, Dimentica", the single anticipating the new album of Italian pop star Tiziano Ferro. - 2006, the project "Pornocult" was born. With this pseudonym , Paolo makes several international remixes: Roger Sanchez, Lideback, Luke and many others. - 2007, is the single "100% Leather" that sets the "Pornocult" project and its sound taking it up to an international level. Further to this "Shining Star" follows with the sound of electro house that distinguished a new genre. Published in the United States on the big label Nervous Records, and released as well as in several European countries, it shines particularly again in France where Paolo reached the top charts once again. - 2008, Paolo’s sound has already found its own way and the Italian pop star Tiziano Ferro commits him the remix of the new single "E Raffaella è mia." - 2008, his remix of Alp vs. Outwork "Fiesta Elektronika" is in the top of the list of the just born shop online mp3: Beatport. It is programmed by Roger Sanchez in his "Release Yourself", supported by international DJ's, among others: Bob Sinclar, Eddie Thoneick, Carl Cox, Tocadisco an many others. It is in the top 3 of the Beatport House top-sellers since 2008. - May 2009. With more than 100 productions, including new ones and remixes, he finishes his collaboration with Melodica Records. - 2010, Paolo realizes 7 tracks of the album "Smile", by Ben Dj. He participates to the project "Restylers" creating remixes by Mondo Marcio, Ginuwine ft. Timbaland & Missy Elliott and Delphic. - 2010, Spotlight by Roger Sanchez from Ibiza offers his bootleg/mash-up di One by Swedish House Mafia http://bit.ly/9UHmRt 2011, he open Tiesto’s Concert at the Torino Beat Music Festival. 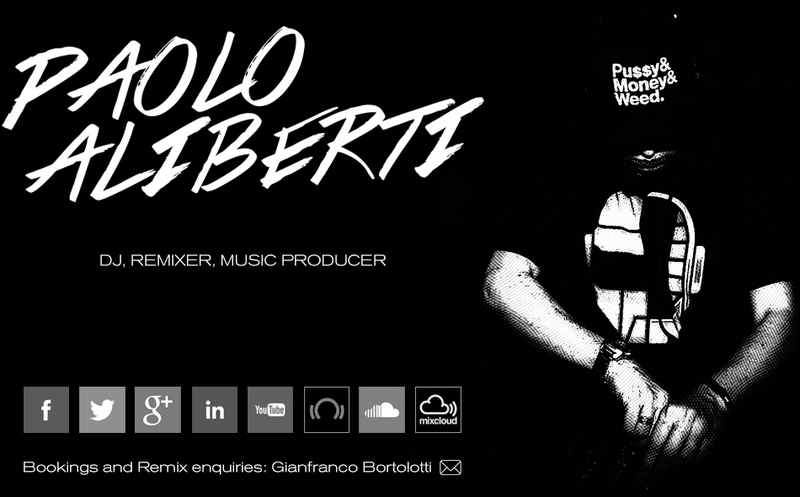 - 2011, Stealth Records, Roger Sanchez’ label publish “Born to fly”, is the new single created by Paolo Aliberti. - 2011, Roger Sanchez gave his support to Paolo, believing in his talent and hosting him on his radio show: http://snd.sc/tSpXBC - 2011, Laidback Luke offers the bootleg by Paolo Swedish House Mafia. vs. Tears For Fears - Shout 2 Ibiza during Tomorrowland. http://snd.sc/petZTA - 2012 - Paolo intensifies his activity of producer coming in close collaboration with musician / producer Cristian Piccinelli ; they produced "Like a Buttefly". In which Dj Carl Kennedy strongly believed in enjoying this new single characterized by the beautiful voice of Jessy Philips. After having proposed it to the Winter Music Conference in Miami, Carl Kennedy decides to release it on his own label Wasted Youth group - Strictly Rhythm. - 2012, he starts a new artistic collaboration with the Californian singer and actress Lauren Mayhew. Carl Kennedy, after the success of "Like a Butterfly", also entrust him with the remix of his new single Out of my mind, out September 16.